Nothing like a little blarney to make your pre-event advertising shine like gold! Promote your spring event with beautiful green St. Patrick’s Day Shamrock Flyers. 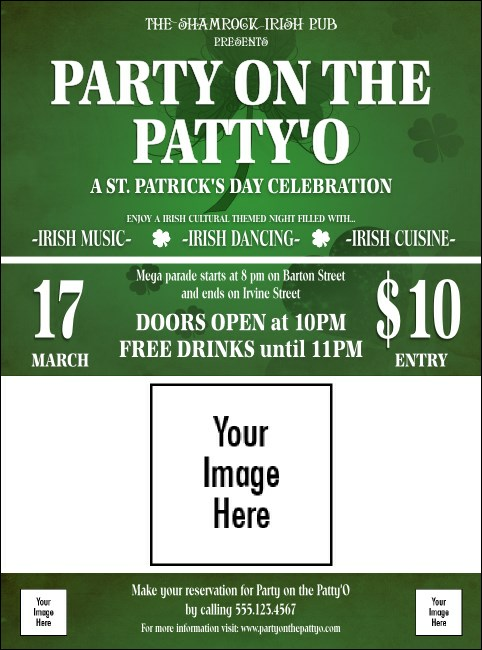 This Flyer template features a unique shamrock design in the background and gives you space to upload three of your own images (one large in the middle and two smaller images below). Charm your guests with awesome event promotions at TicketPrinting.com.